‘Demanding’ or ‘troublesome’ – these are just some of the words used to describe women who want to be paid as much as their male counterparts. Tomorrow is known as Equal Pay Day, the symbolic moment of the year where women effectively stop earning money in comparison to men. Which means that, essentially, today is the last day of the year women are paid for the work they do, and many are setting their out of office to reflect this. As the gender pay gap in the UK is currently at 17.9%, November 10 is seen as the moment the average woman starts working for free. This is the same day as last year, showing the situation is not rapidly improving. It will take time to close the wage gap, and particularly more so for women of colour. Prominent figures talking openly and honestly about the problems is a step in the right direction, forcing companies to change their attitudes and biases. Here are some inspiring individuals who have spoken out about equal pay, and are campaigning for women to be paid what they’re worth. In January of this year, BBC journalist Carrie Gracie resigned from the post of China editor because she wasn’t being paid as much as the male editors in similar jobs. Gracie and the BBC have since come to an agreement, but her strong stand lives on. In an open letter to licence fee payers, she wrote: “To women of any age in any workplace who are confronting pay discrimination, I wish you the solidarity of a strong sisterhood and the support of male colleagues. Gracie has become a brave example of standing up to your employers to get what you are worth. Not only this, but she also donated all of the backpay given to her by the BBC to the Fawcett Society – a charity supporting women’s equality – to help further women’s rights. In the wake of the #MeToo movement, increasingly more women – particularly in Hollywood – have been calling for equal rights. Patricia Arquette was something of a trailblazer by opening up conversations during her acceptance speech during the 2015 Oscars. It was a rousing speech to women everywhere and one that was well-received – if we’re to judge from Meryl Streep’s iconic reaction. It’s no secret the pay gap is even worse for women of colour – the Women’s Equality Party says Black African women have a 24% pay gap, and it’s 26.2% for Pakistani and Bangladeshi women. This unfortunately means women of colour have to fight even harder to be paid what they’re worth. Few people speak as strongly or inspiringly on this than actor Viola Davis – the only black person to be awarded an Oscar, Emmy and Tony. In 2015 Sony email hacks revealed Jennifer Lawrence made less than her male co-stars in American Hustle. In response, she wrote an essay for Lena Dunham’s Lenny Letter which frankly and openly discusses her feelings on the matter. For many women, this is a hugely relatable stance and one that prevents many of us for putting up a fight. It’s positive that high profile figures like Lawrence are opening up conversations around these topics, revealing the double-standards between men and women. Indeed, Lawrence points out she just can’t imagine any male actor negotiating pay being called a ‘spoiled brat’. It’s through having these hard conversations that we can hopefully rectify the problems and begin to move forward. 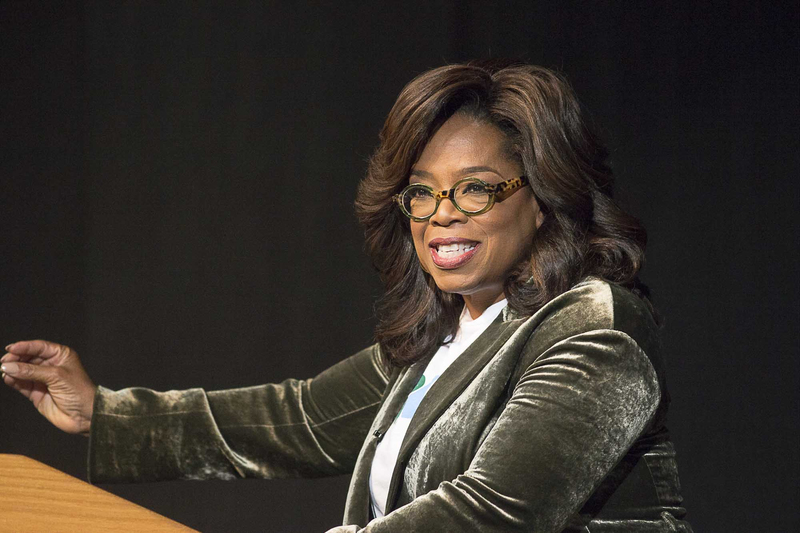 Even though equal pay has become an increasingly hot topic in recent years, we’ve got to give a shout out to Oprah Winfrey. When she set up The Oprah Winfrey Show in the 1980s, she realised the female producer salaries weren’t going up like they should.